The Most Requested Features For NPR and Expressive Artists! 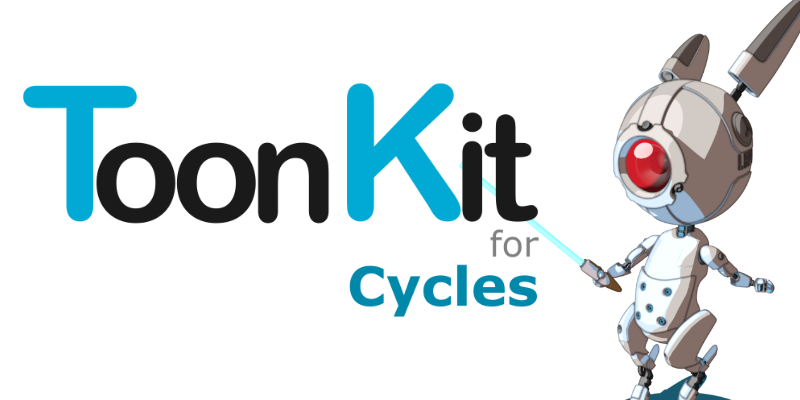 ToonKit for Cycles is the In-House solution developed by Cogumelo Softworks for render NPR, PSR and Stylish Renderings with Cycles. For those that work with Anime, Technical , Arch Viz, Engineering and Expressive Art Toonkit for Cycles is just what you need. Starting from Toonkit 1.2 we also already support Blender 2.8 as experimental version. Toonkit for Cycles is based on OSL shaders that are fully interactive and integrated in Cycles Node System and Blender’s Viewport. ToolKit shaders are Lightning Fast and most of they will converge to noiseless production quality image in only 32 samples! In Toonkit all node outputs are Colors, it include Shadings, Shadows and Specular that you can mix and operate as you wish. No more Mix Restriction for your creativity! First Line Rendering For Cycles! Toonkit for Cycles implements two fast and stable Line Rendering nodes for Cycles with controls of the influence of Normals, Depth, Object Id, Silhuete and Vertex Color. More than 30 New Nodes for Cycles To Expand your Creativity! Rim Light, Normalized Depth, Ambient Occlusion, Line Rendering (Sampled and Deterministic), Directional Shading and Shadow, Point Shading and Shadow, Specular, Cool-Warm, Add Mixer, Simplify Normals, Halftone and Hair Procedural Textures, Matcap, Ramps2D and SpriteSheet Texture Coords, Blur, Paint and Pixelated Texture Filters and others! Oh, man. I really wish I had saved my cash now. I was looking for this exact thing! I spent too much on other addons that didn’t quite give me the results I wanted. I’ll have to pick it up next week. Looks amazing! This looks really good! Makes me want to start a NPR project just to test it out. 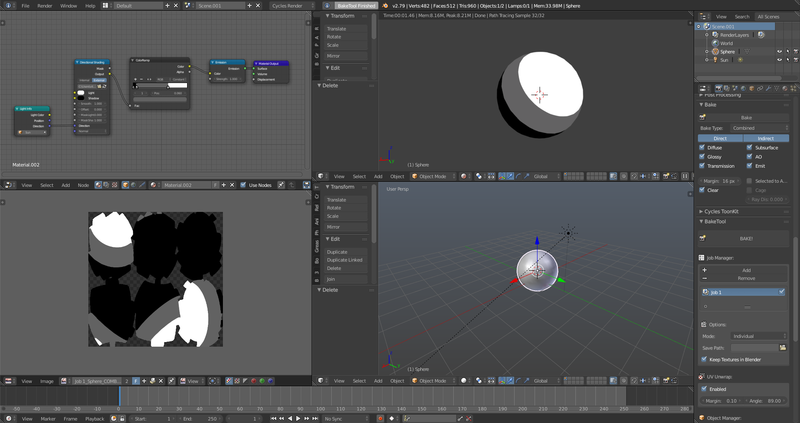 Have you heard of Nick Wu’s GSoC project aimed at improving Blender’s NPR capabilities? The first commit to his branch is in. I’m not sure how long this kit will be relevant if his project succeeds and gets merged into 2.8 (it does look neat though). That, and the new eevee NPR node. Others are complete new set of features never seen in Cycles such simplify normals (very useful for anime rendering…), 2DRamps and even Texture Effects such Blur and Posterization. Today we have 25 new nodes for cycles. Other than that it could be years to Blender 2.8 to be stable to production and GSoC projects usually take a lot more time to be merged in master (when they do) even without the complexity of Blender 2.8 project. We provide a solution for blender 2.79 and Cycles today and when Blender 2.8 be released we want to update to it too. 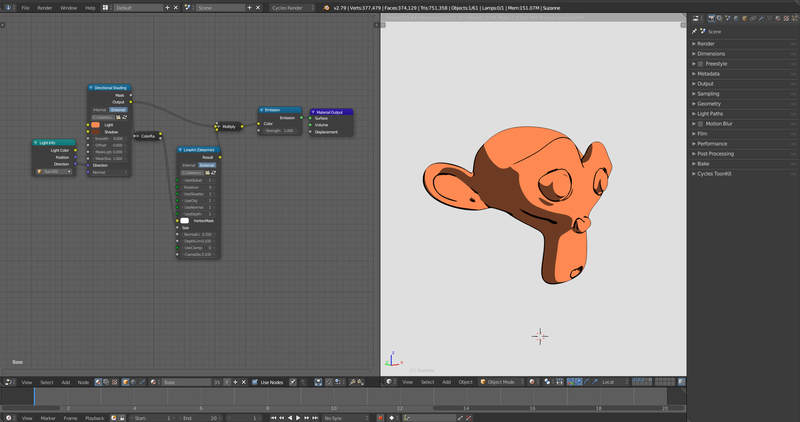 Implement some of those nodes in eevee (if custom GLSL shaders was available) is one of our goals for Blender 2.8. Will this work with 2.8 when it comes out? The current indication is that it will work in blender 2.8 without too much effort. We’re following the project close (every day) to make sure the 2.8 port of this addon (and all our others addons) will work with blender 2.8 soon as possible after the release. Better than that, we want to try port many of those shaders to eevee when custom GLSL nodes are available. Also all upgrades for 2.8 version will be free for everyone. too bad OSL does not run on CUDA - I really like the results of this add-on. You’re right OSL are CPU only. That said our shaders are very very fast! Almost all nodes converge for noiseless production images with only 32 samples! It includes our deterministic version of the Line Rendering node. Other than that it provide real-time previews in Cycles viewport what is not possible in freestyle today. I can see that in the video - really impressive! We are working in a landing site with better documentation and samples of the results of each node. It’s yet a WIP but can be a lot value for people that want to see more about before purchase and/or want to use the product. Other than that if you have made any tests with it already please let us know. We want see what you guys have been done. Some tests of Toonkit for Cycles running in the upcoming Blender 2.8. We will keep working to port it for blender 2.8 close as possible of the blender’s release. OK – this is a dumb question. Can I bake the toon shaders (especially the line renderings) so that I can use the model in other programs like sketchfab or Unreal Engine? Initially we thought blender don’t support OLS Baking. It’ was even in our FAQ. But it does! We double check it and it support bake without problem. Even works with our other product Baketool. But see that only non view dependent" will work as expected. You can’t expect the line rendering works but shading, procedural textures etc… will work without problems. Hi. It looks a promising system. Could it produce varied lineweights such as these (the less materials the better)? Bonus points for a visual example. Thanks. 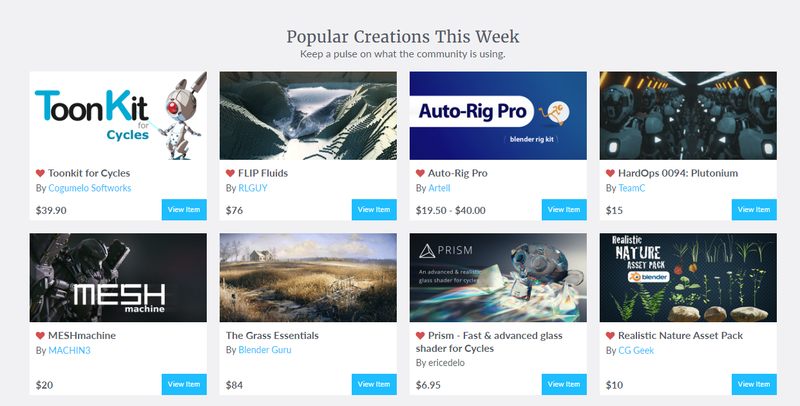 Toonkit is the best selling product of the week in blendermarket! Thank you all guys! If you have been done nice images with it please let us know, we want to see what you guys have been produced. Other than that we’re releasing a new section in our landing page: Tips and Tricks. There we will post some nice node configurations to produce some trick and requested effects. Again. If you have been done nice images with it please let us know, we want to see what you guys have been produced.